End load cartoners have been a core competency of Mpac Langen since their inception. 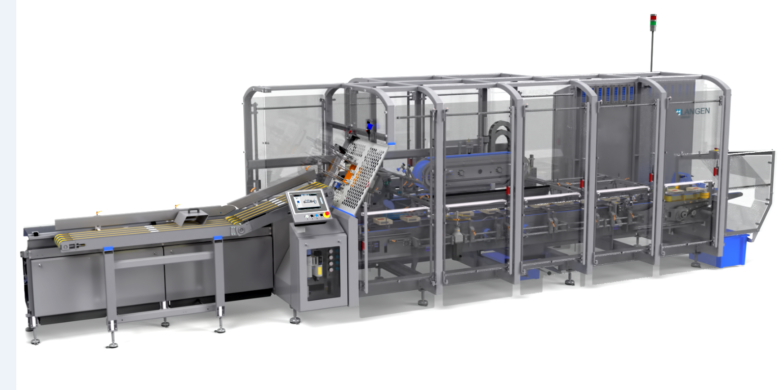 Always evolving, the new generation of Mpac Langen cartoners are designed around hygienic standards to ensure reduced likelihood of bacterial build up, ease of cleaning, improved operational efficiency and improved ergonomic design and safety levels for operators. 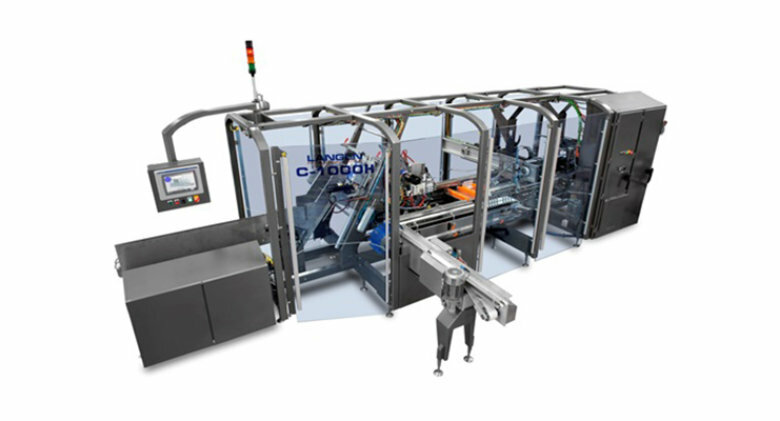 These new improvements are in addition to the core standards of servo driven movements, stainless steel construction, quick change features (such as pre sized carton templates) and Mpac Langen's leading rotary feeder/pre break design for reliable and fast (max. 500 cartons/min) carton erection, even when running lightweight carton board. 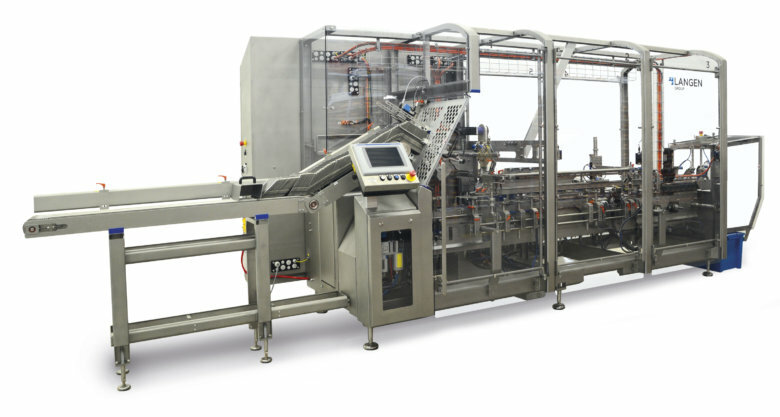 Options such as automated carton magazine loading (AML) and wash down capabilities complement their range. The Mpac Langen range covers all requirements from semi automatic (manually loaded) machine AIR™, intermittent motion machine MARIN™ running at up to 60 cartons/min & multi indexing intermittent machine C1000™ running at up to 260 cartons/minute. 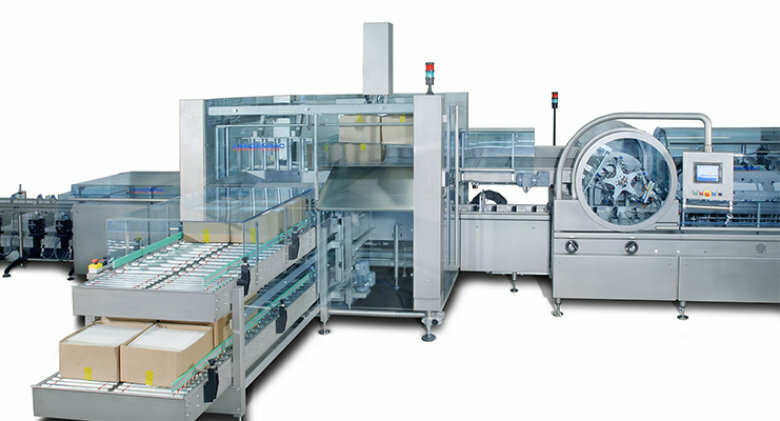 For continuous motion, depending on carton size, speed requirement and product type, Mpac Langen offer their machines VENTO™ & MAESTRO™ offering speeds up to 500 cartons per minute. VENTO™ Hygienic Series 500 Continuous motion cartoner with unique hygienic features provides an outstanding flexible combination of speed, footprint and applications,demanding highest end-product quality.